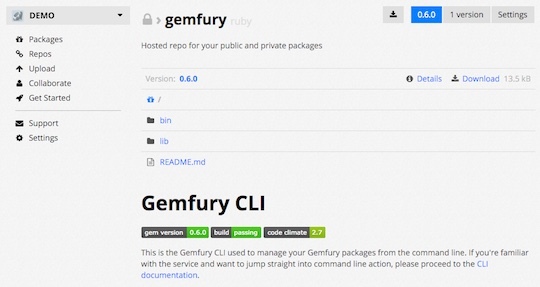 Expanding on our vision of a toolkit to improve package development and distribution, we are introducing a new way to inspect packages that you have stored in your Gemfury account. Today, we are proud to announce the addition of our new Package Explorer. Starting at the root level, you can navigate deeper through the internal directory structure, and view the content of any non-binary file. Package metadata is still available through the “Details” link on these new content listing pages.